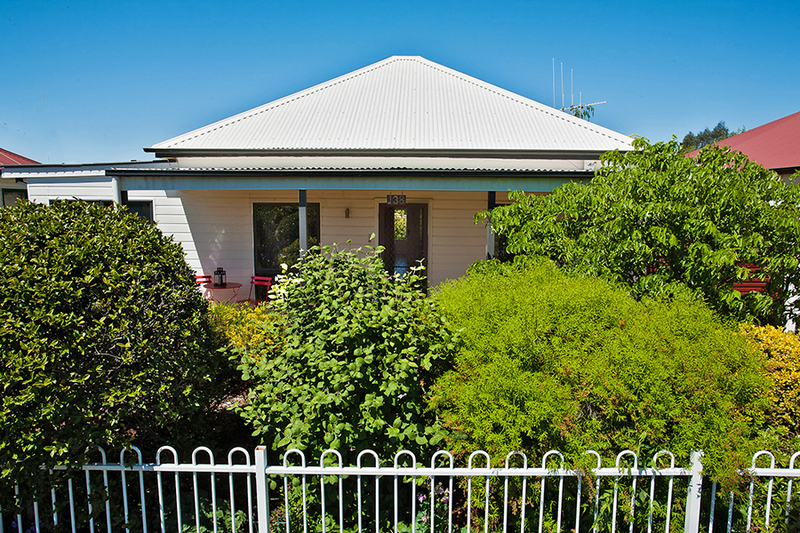 Orange, NSW Pet friendly Cottage Accommodation - Cottages in Orange. Darling Cottage Page. 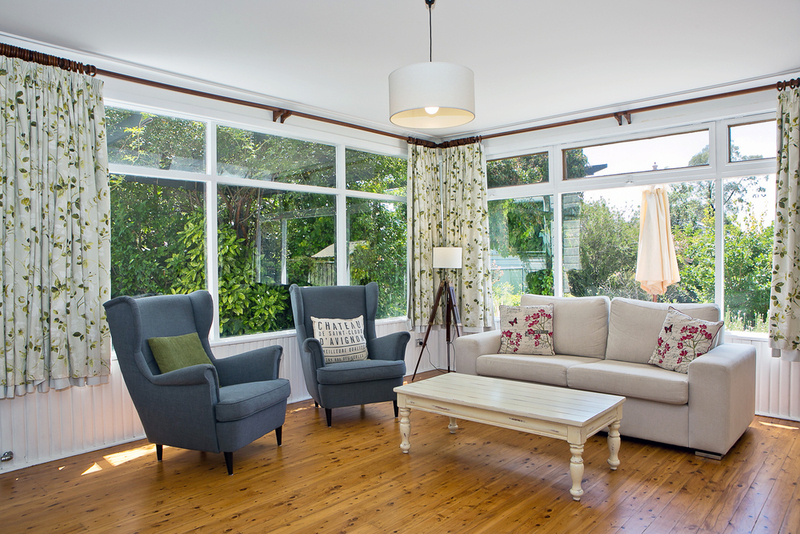 Our light and airy cottage is your chance to escape in style. Hardwood floors, a brand new kitchen, high-end furnishings, and a mature private garden make this the perfect space for your family. All just a short stroll from cafes, bars & shops. Newly renovated and stylishly furnished, this spacious cottage is situated on a quiet street just 4 blocks from Summer St and within easy walking distance to everything. We’re guests ourselves and have experienced first-hand what it’s like to arrive at a poorly equipped home. Darling Cottage is anything but! You’ll find everything you need for a comfortable stay including linen, blankets, towels and electric blankets. The fully equipped kitchen contains everything for the keen chef plus pantry staples and recipe books to inspire. We provide a range of thoughtful extras including breakfast provisions, scented candles, toiletries, books and games and all guests receive a bottle of local wine on arrival. For those travelling with pets or little ones, we have you covered. For your dog we provide a water bowl, some dog toys & dog treats. For your children we offer a highchair, cot & sheets along with boxes of toys, books, DVD's and games. Outside you’ll find a fully fenced, mature garden, offering a private haven for you to indulge in a some well-earned R & R. Sip a glass of something cold next to the vine-covered pergola, before picking some fresh herbs from the garden for your evening meal. On a cool evening you could end the day next to the outdoor fire (wood, matches and firelighters are provided). At the front of the house, you'll find a beautiful, west-facing verandah, where you can watch the setting sun. It’s also our favourite spot for enjoying a morning coffee as the established garden provides plenty of privacy. Wi-fi internet connection is available throughout the house along with chrome cast so you can connect all your devices to the flat screen tv. We are more than happy to give suggestions for the best places to see, things to do and food/wine to try! We really love it when people feel at home, so please feel free to relax and live like a local. We encourage a minimum of 2 nights for all bookings at the cottage. Click here to go ahead and make a booking. We had a wonderful stay at the cottage and will certainly stay again next time in Orange. 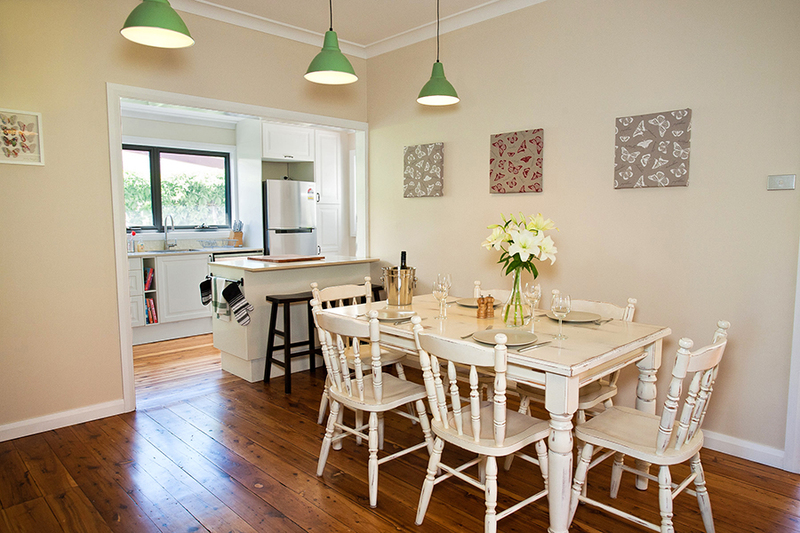 Darling Cottage is a lovely cottage recently renovated to a high standard. Lovely touches were the pantry basics supplied and of course the welcoming bottle of wine and fresh plums. The house was immaculate, a pleasure to stay in and has great proximity to town. I would go back again without a doubt! The beautifully appointed cottage had every creature comfort of a good home. Highly recommended.